3.) Request a run by seeing if someone in your community is doing a run. Order on their run and pay for your food via the app. 4.) If nobody in the community is currently delivering something you want, post a request and a fellow JoyRunner can pick up your request and deliver. 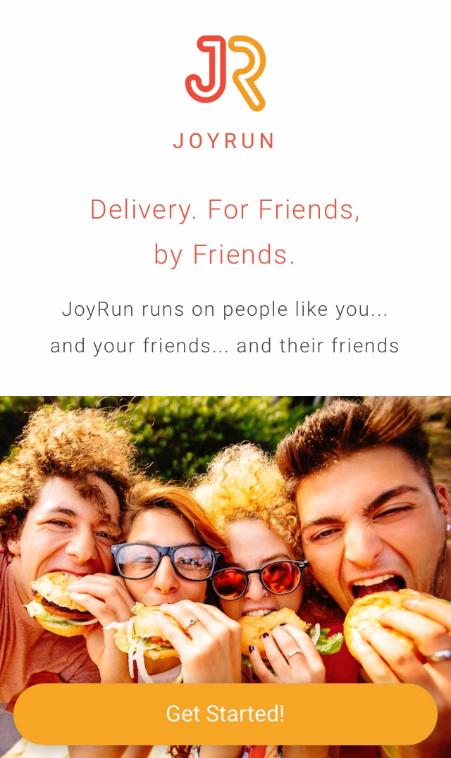 JoyRun, a new delivery application "for friends, by friends" has touched down in Muncie and is looking to make its mark on the Ball State community. “We are transforming everyday deliveries into community experiences," JoyRun CEO Manish Rathi said in an email. "JoyRun is a platform that connects friends and brings together community for meaningful moments." The Silicon Valley venture-funded start up functions as a community powered delivery platform, Rathi said. The app is expanding across the country and is currently covering about 50 campuses from coast to coast. Rathi said when it comes to delivery, the process is simple. All orders and payment occur within the app, as well as any communication needed between runner and buyer. Runners are what will give students or community members the opportunity to earn extra money in between classes or on the weekends, Rathi said. Those interested in getting involved can simply download the app and start a run. Runners can set a delivery fee per person on their run. In addition, a runner can earn money in tips. The app also offers perks through Runner’s Club points, which helps increase earnings and personal promo code referrals. What makes JoyRun unique compared to other delivery apps is workers can go through the job without an application process and set their own schedule and availability. Students don’t have to be runners to make money; they also have the option to be a Student Leader. Students work with a supportive team of campus leads and a group of other student leaders on campus. “They work to market JoyRun while gaining valuable sales and business development experience, as well as learning creative marketing techniques,” Rathi said. “JoyRun’s mission comes from the idea that anyone can be a part of their network, both delivering to make money and ordering to celebrate meaningful moments with friends. It is ideal for a hungry college student, hungry to make money or hungry to feast with friends."